Web application that allows you to play music on your website. Easy installation, automatic playlist generation, customizable design and other cool features. 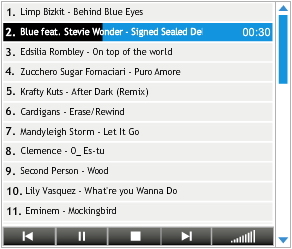 Flash MP3 Player is a web application that allows you to play music on your website easy and fast. You won't need any programming skills to install or use it. Just embed it into your website and player will automatically scan a specified folder and form a playlist.